Our price:£ 15.65/pcs. tax incl. The Ubiquiti POE-24-12W power adapter is compatible with a range of airGateway series solutions. It protects against power surge, clamping, maximum surge discharge, peak pulse current, and electro-static discharge, and it provides earth grounding. 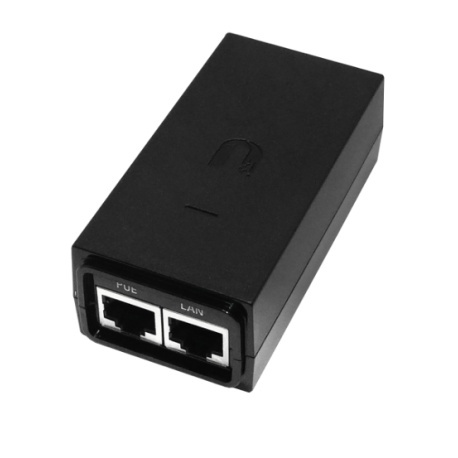 The Ubiquiti POE-24-12W power adapter is intended for 24 V devices. 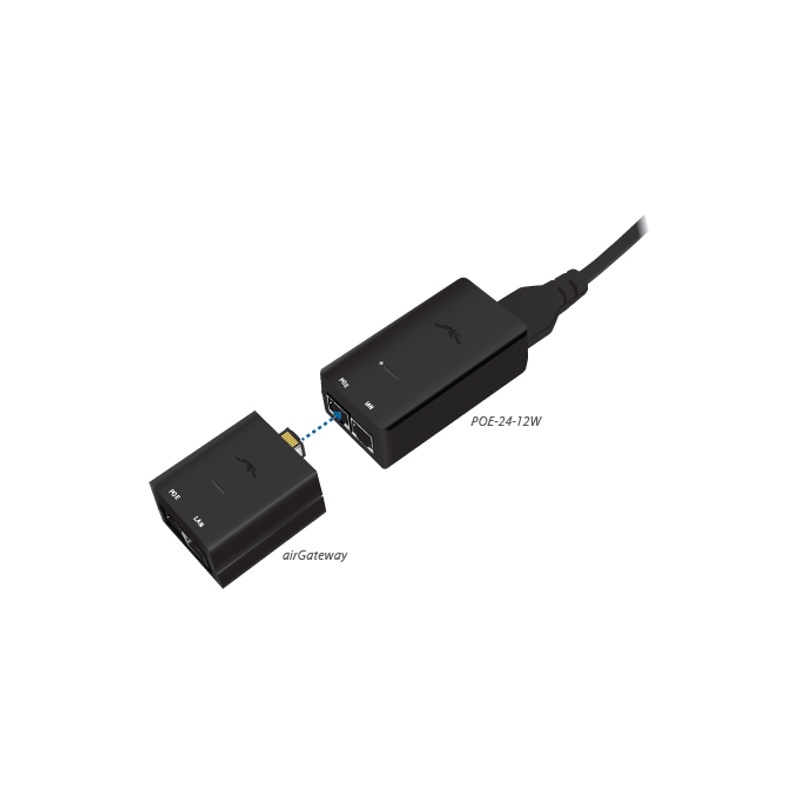 The input voltage is 90-260 V, 47-63 Hz and it includes 2 Ethernet LAN (RJ-45) ports. The Ubiquiti POE-24-12W power adapter is a quality product, made from durable components. It provides reliability and resistance to bad weather conditions. The temperature operating ranges are 0 to 40 degrees Celsius. The Ubiquiti POE-24-12W comes equipped with 2 power signal LEDs. 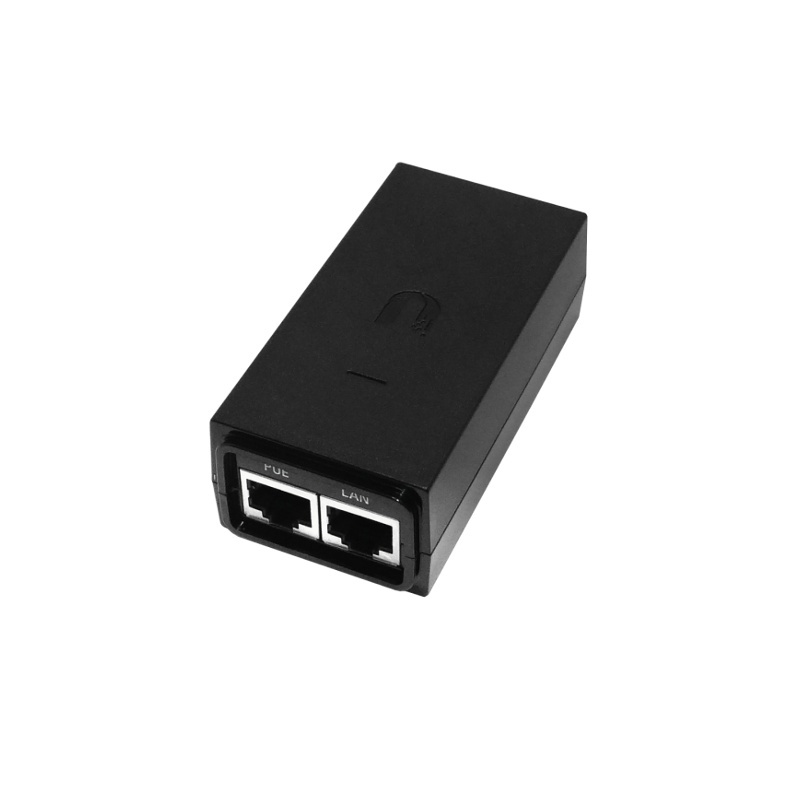 A reliable, high-quality device that you can rely on to provide power for your POE devices. The Ubiquiti PoE Power injector is used to supply all the equipment that supports PoE passive 24V (eg RouterBoard, Ubiquiti and others). The adapter comes with a power cord. (UK Lead provided). This is the new type Ubiquiti injector which has the mounting option for airGateway devices and supports the Ubiquiti POE Wall Mount.